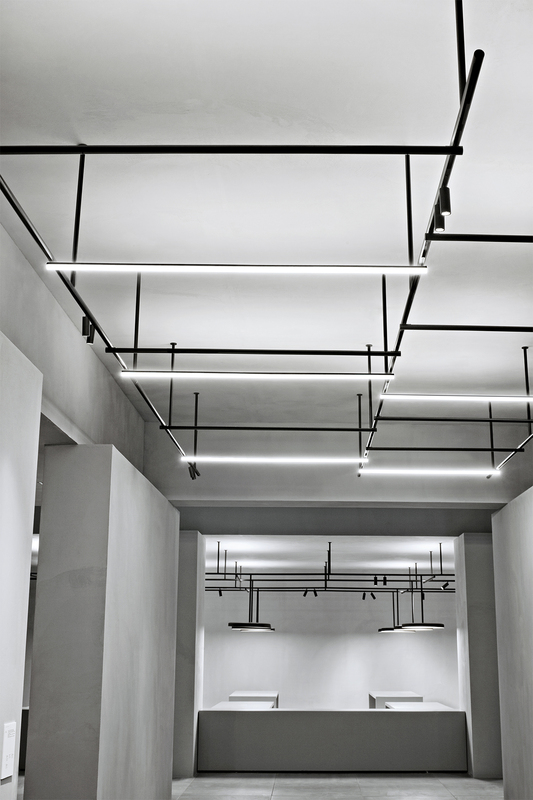 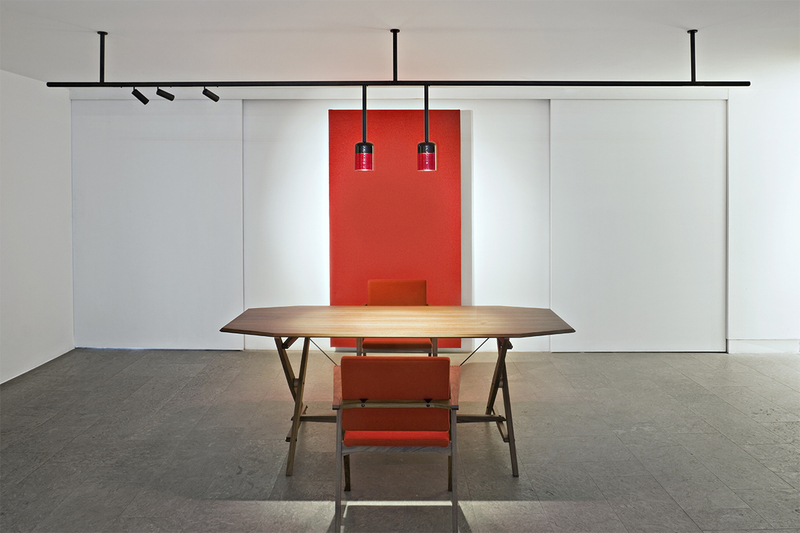 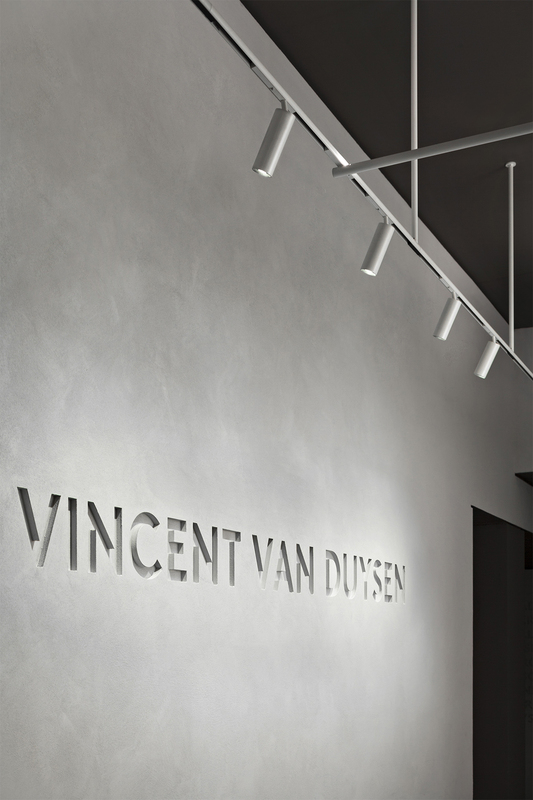 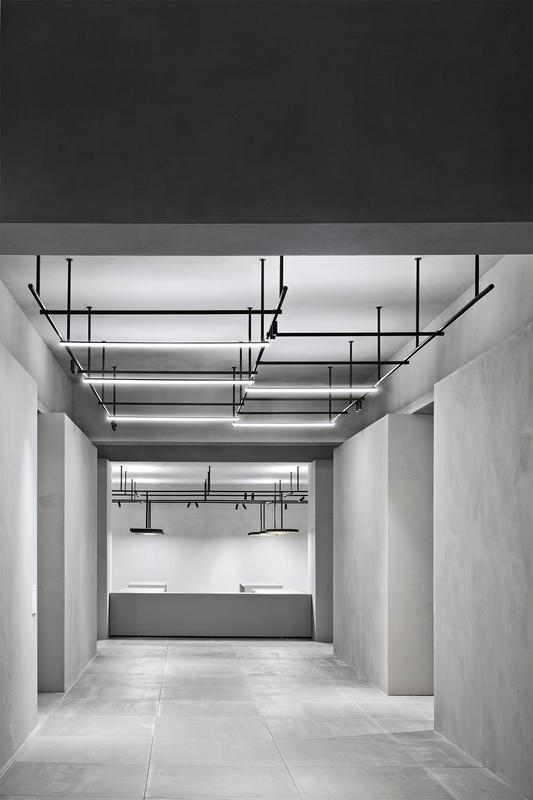 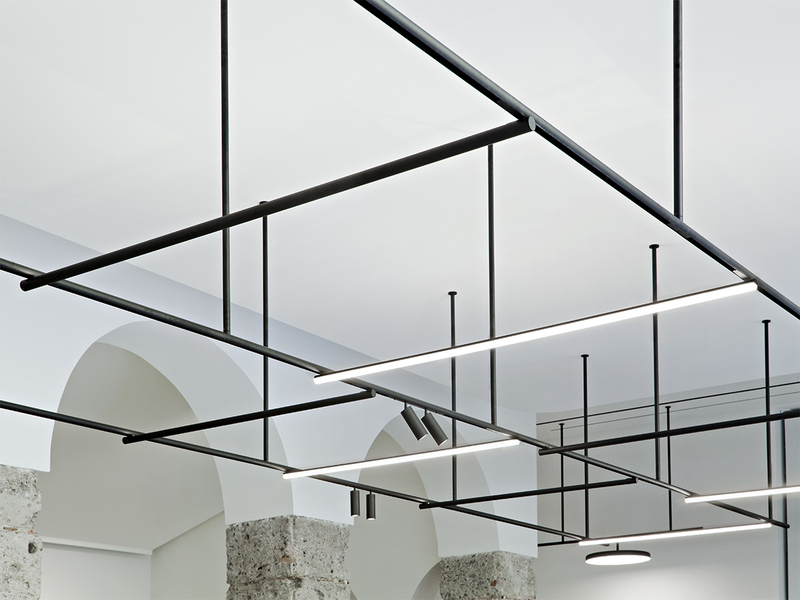 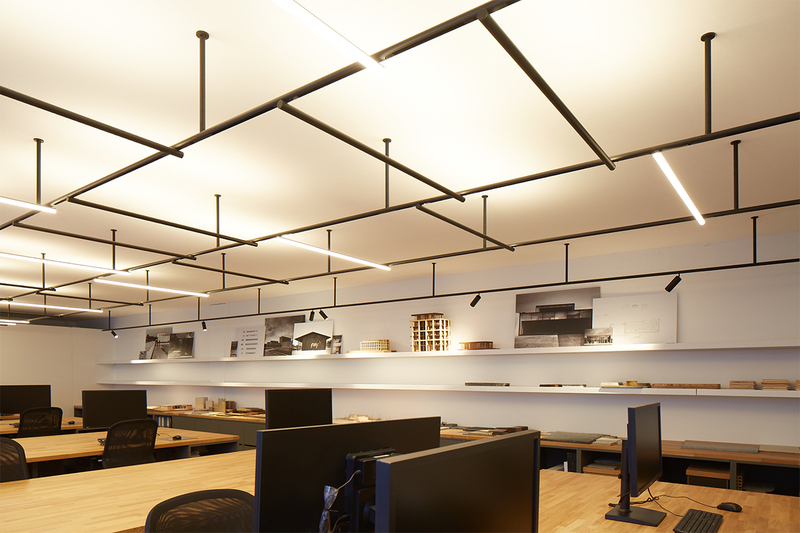 An innovative illumination system designed by Vincent Van Duysen to be installed surface-mounted to the ceiling with a network of rigid stems. 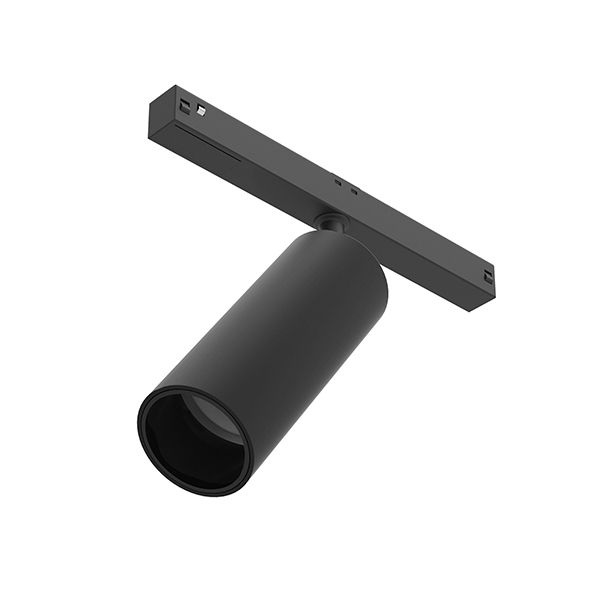 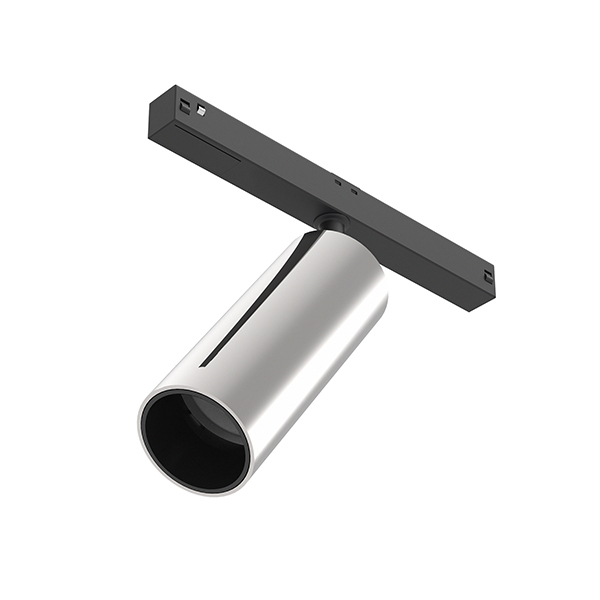 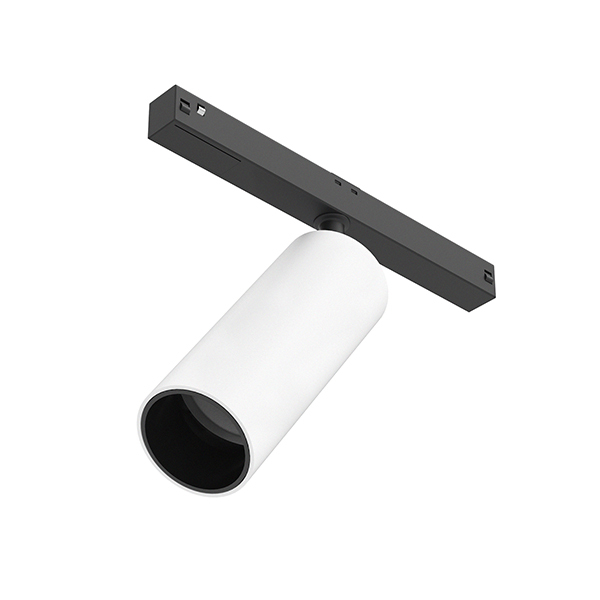 Structural profiles and ceiling stems finished with black or white extruded aluminium tubular sections, fitted with an electric graphite feed track with a 48V supply, on which the LED luminaires are installed by a magnetic fastening system and a security mechanical fastening element. 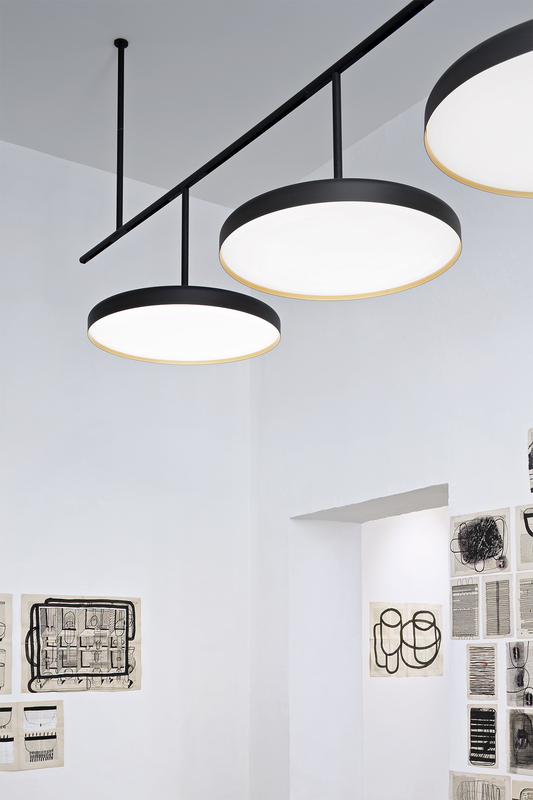 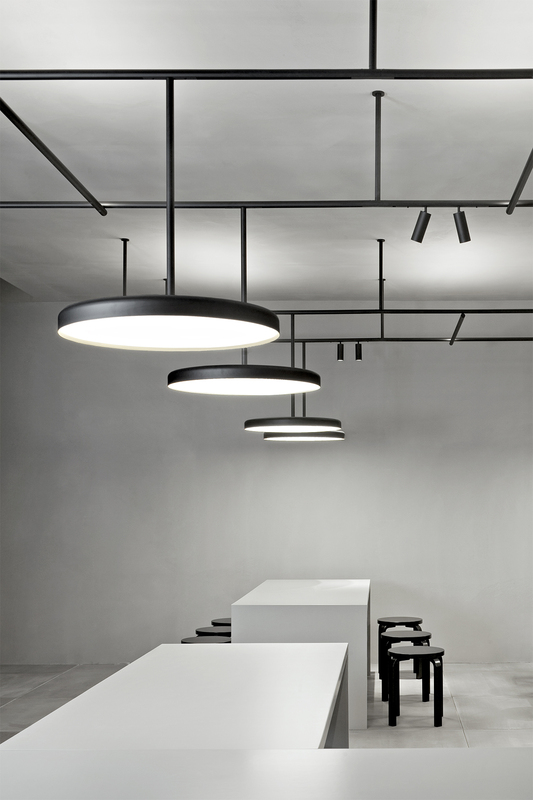 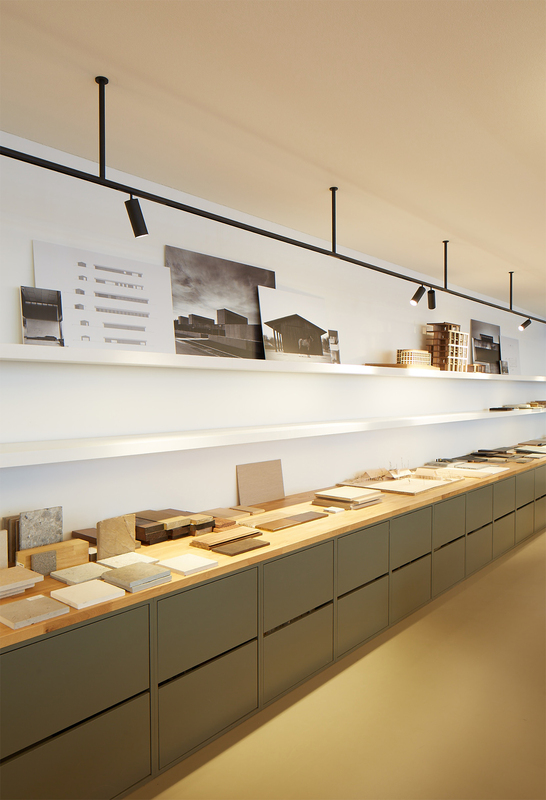 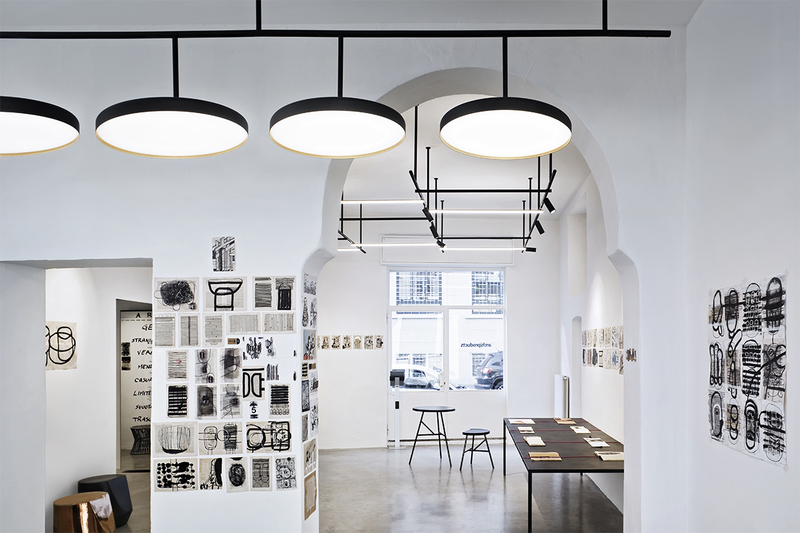 The range of luminaires is composed of accent illumination modules with different optics, ambient lighting system with direct and indirect lights and decorative luminaires with the Flos signature design.